One of the premier Scottish music labels of all time with a 450 album catalogue that comprises the best in genre across all the relevant forms of traditional music - Harp, Highland Bagpipes, the Pipes & Drums, Scottish Country & Ceilidh Dance, Accordion & Fiddle music, Gaelic song, folk song of the 'travelling people' and the great singers of the era - Kenneth McKellar, Moira Anderson, Andy Stewart, The Alexander Brothers, Sir Harry Lauder and more. The pipe bands recorded and released by Lismor come from 3 continents and include EVERY Grade One World Pipe Band Championship winner for a 20 year stretch from 1973 including the winners from Canada & Australia. It was always the target to work with, record and present 'The Best' that Scotland had to offer and then proceed to offer that music to the World. Lismor succeeded on both counts setting standards across the whole range of the music still unequalled to this day. First established by the wonderful acoustic folk group Ossian in 1978 as a vehicle for both the band and solo projects from within. The label was taken over by Lismor Recordings in 1990. The original 13 titles were expanded over the years to 74 before ceasing new productions and moving the complete catalogue into the new digital world. The label was always pioneering. It's even likely that Ossian were one of the first artists to have their own 'indie' label and not sign to a record company. Under Lismor control the roster moved from 'Celtic Acoustic' and at times got near to full blown 'folk-rock' with bands like Wolfstone, Rock Salt & Nails and Tartan Amoebas and also into 'techno-folk' with Paul Mounsey and his Nahoo trilogy. 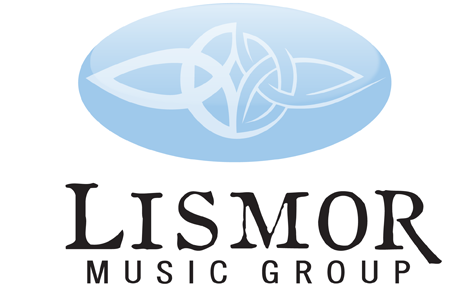 The music publishing arm of Lismor Recordings. Like many provincial labels Lismor found it necessary to create a publishing arm in order to collect the royalties being earned by the composers & arrangers of the music being featured on their album releases. Besides being valid income for the composers & arrangers it also served to keep such income within Scottish & traditional music. The rules of the game at that original time allowed 6.25% of the album price to be shared amongst the 'listed composers' BUT as the bulk of the Lismor output was 'traditional' then all of that money could have been taken & eventually distributed to, say, Lennon/McCartney if even one track of maybe 14/15 was a song/tune written by them. As 'arrangers' were considered part of that system then that's why you still see many tunes with (trad.arr Joe Smith - Isa Music) beside each title. The publishing company is still active and over the years has had music used in Walt Disney films, Victoria's Secret company, various TV programmes and lots of adverts. How do you fill a space under the offices of Scotland's leading traditional music company? Easy! You open a record shop selling the music. And the Scottish & Irish Music Store was opened in Kilmarnock Road in Glasgow to do just that and support the company's growing mail-order trade to expatriot Scots all around the World. This successful little venture was scuppered a bit when Lismor had to move to much larger premises in the out-of-the-way Carnoustie Place. No passing trade-no shop. 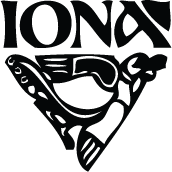 BUT our intrepid gang then really dug-in and rebranded as the All Celtic Music Store and became pretty much an on-line one-stop shop for all of the music of both Scotland and Ireland, with hints of Brittany, Galicia & Asturia and even Cape Breton in Canada was thrown into the busy pot. This expanded catalogue of titles (over 5,000 and counting) was augmented with videos that became DVDs and occasionally bagpipe tune books. The shop and its very comprehensive stock become a 'natural' for the new on-line retail market and that's where it sits today. If it's a new or old title - if it's listed - then it's in stock for immediate dispatch all around the world. And after 30 years of doing it we think we nearly have it right. Despite being 'traditional' based we have always prided ourselves on a good level of forward thinking, hence ISA Digital. As digital distributors we obviously work with the world's BIGGEST platforms including iTunes, Amazon, eMusic, 7Digital and the newly developed, and highly rated, Spotify streaming system. Not content with that ISA has also developed it's own 'download platform' which operates the download facility at the All Celtic Music Store and Electric Scotland and the recently added National Piping Centre (for ALL piping music), ISA will develop into being the global hub for 'Celtic music' downloads. We also supply specialised genre stores including eTrad Music (Music in Scotland). But ISA is not at all a 'one-trick-pony'. The operation is now very rapidly developing a 'pop/rock' thread, is finding a slow but sure increase in jazz music and is very much OPEN for all styles of music from anywhere in the world to be downloaded anywhere in the world. The Digital Distributio service is now operated by Threads of Sound.